And just like that we’re halfway through 2014. Up in the great white north, this means that it’s time to celebrate Canada Day. 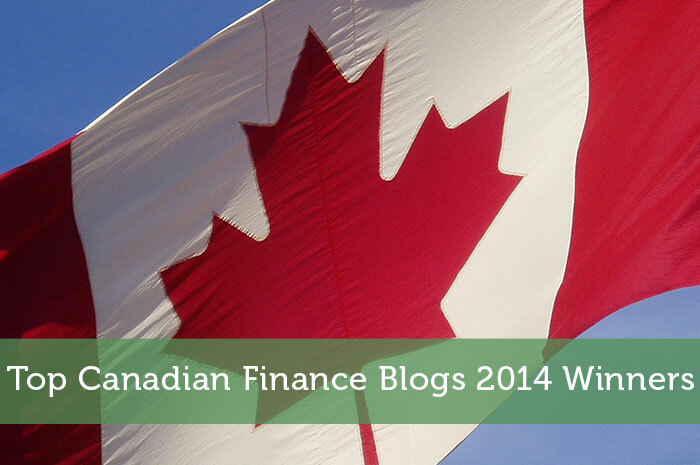 Around ModestMoney.com it means that the Top Canadian Finance Blogs poll has come to an end for another year. First of all last year’s winning blogger requested to not take part this year. I’m not sure if he was afraid of not getting votes without promoting the poll on his blog. He’s still proudly displaying last year’s badge on his blog though. Then we saw a number of different bloggers make the final cut this year. Only 3 of last year’s finalists made it to the finals this year. It’s great that other Canadian blogs were getting the extra exposure this time around. The 3rd development is something that a number of bloggers have e-mailed me about. One of the finalists, Girl Meets Debt closed down her blog in June. I know a lot of people really enjoyed her blog, but this was a personal decision and she’s doing fine. Without further ado, onto this year’s winners. Coming in at #1 we finally have a fellow Vancouver blogger. Ironically it’s one of the only local finance bloggers that I’ve never met. After this I’ll have to put a bit more pressure on him to come out for one of the blogger meet-ups. At #2, we go a little further east to Alberta to one of the Canadian bloggers that I e-mail back and forth with quite frequently. It also happens to be another investment focused blog. The 3rd place blogger isn’t someone I’ve talked to much at all, but he’s a very well known blogger. Wouldn’t you know, it’s another investment blog rounding out the top 3. Thank you to everyone who voted and for all bloggers who took part. For next year’s poll I’ve got some ideas in mind. With any luck we can make it the biggest turn out yet. An honour to be #2! Congrats to Passive Income Earner in #1 and blogging star and author Dan Bortolotti in #3. Thanks to all the fans of the site, and Jeremy, for highlighting and promoting personal finance and investing. Thank you for telling me about Girl Meets Debt. I’ve tried to “find” her and kept being re-routed to your site. Sorry to see she shut down her blog. I enjoyed her immensely! Great list. I am happy Vancouver is representing. To me these sites are beyond blogs and great resource material. I have personally visit those 3 sites many times to formulate my plans. They are great for their Canadian tax tips as well.